On the 8th of May, Fukuoka Prefecture announced that 11 nurse candidates have passed the February 2018 National Nursing Examination/National Assistant Nursing Examination. 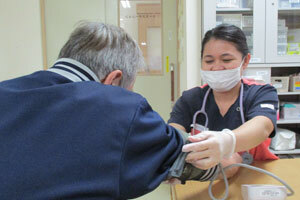 In Japan, due to EPAs (Economic Partnership Agreements), qualified nurses from Indonesia, the Philippines, and Vietnam are accepted by Japanese domestic medical institutions and are provided with support for acquisition of Japanese nursing licenses. However, many of these individuals are unable to pass the examination and return to their home country, or instead work as Assistant Nurses while aiming to attain their license. For such individuals, Fukuoka Prefecture has cooperated with the Fukuoka Prefecture Medical Association since 2016 to provide them with academic support both within their home countries and within Fukuoka Prefecture. From July 2018 onward, all passing individuals will work at prefectural hospitals and clinics where they will accumulate further experience. 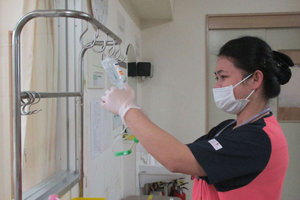 Dewi Kristina Hutabarat, an Indonesian nurse who passed the exam in 2016 and now works at a hospital in Fukuoka Prefecture.